Friends, I am back again with another awesome indoor poster mockup. Using this ultra modern indoor poster mockup, you can easily present your artwork and poster in a professional way. All layers are named well and properly organized. Using smart object layer, you can easily drop an original design work within a minute. This premium quality free indoor poster mockup available in .PSD file format and comes with 1572 x 1024 pixels resolution. 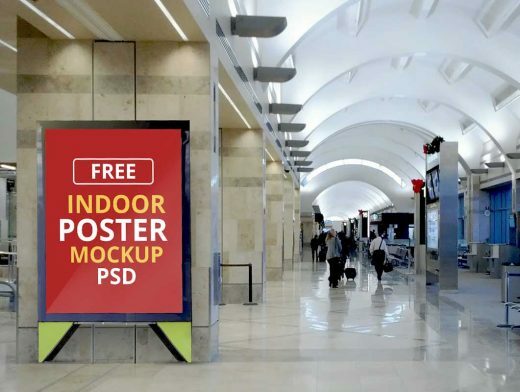 Just scroll down and get this wonderful indoor poster mockup PSD.